Free Bagel with Cream Cheese at Bruegger’s Bagel on February 7, 2013! Do you love or live near a Bruegger’s Bagels? 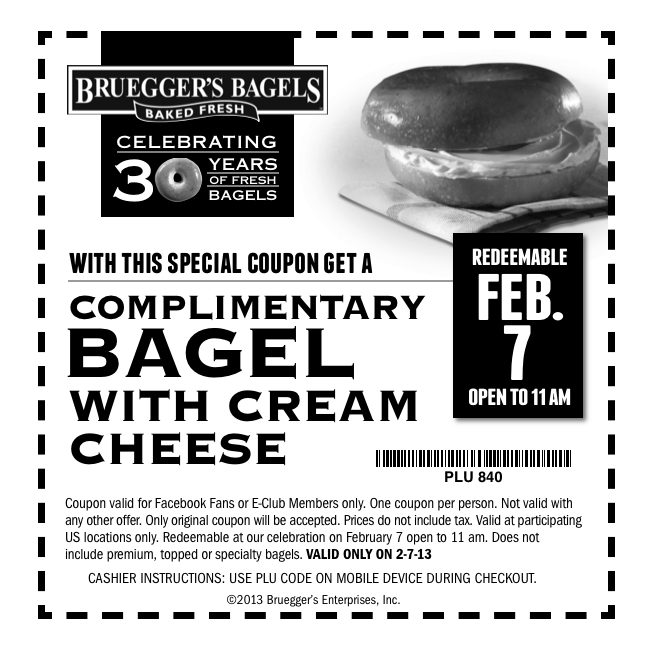 In honor of their 30th Anniversary, Bruegger’s is giving away a complimentary Bagel with Cream Cheese from 7-11am on Thursday, February 7, 2013 with this printable coupon! Yumm!